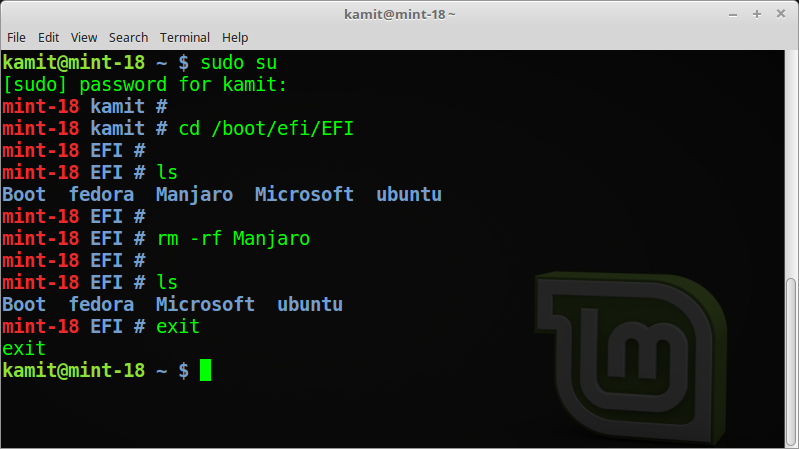 After several failed attempts to dual-boot Ubuntu 15.04 and Windows 10 on a single hard drive and on a computer with UEFI firmware, and not knowing what caused the first failed attempt, I figured that subsequent failed attempts must have been due to an existing Ubuntu GRUB folder in the Boot EFI folder. So I thought that If I could just delete the ubuntu folder from the Boot EFI folder, that the installation would complete – successfully. Ultimately, it didn’t, but I figured out how to delete GRUB files from inside Windows 10, from the command line. This post documents how it was done. It involved, from the command line, listing and selecting the detected hard drives, listing the partitions on the hard drive, then, finally, listing and deleting the target folder. Another reason you might want to do this, is if you deleted the Linux partitions, which would not automatically delete the GRUB files from the Boot EFI folder. To start, log into Windows 10, click on the menu and type cmd. 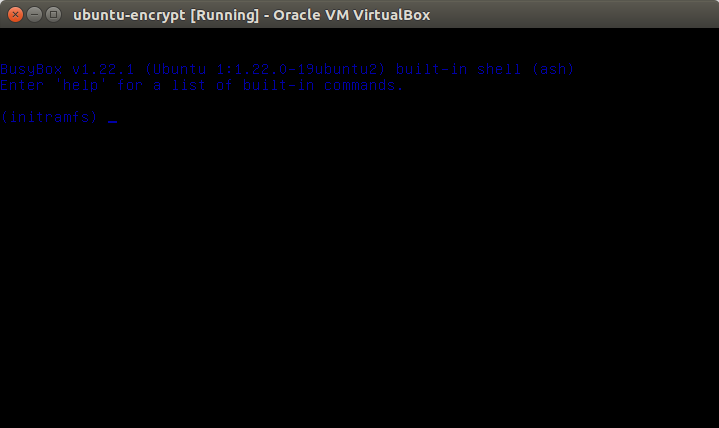 Then right-click on the terminal application’s icon and select run as administrator. 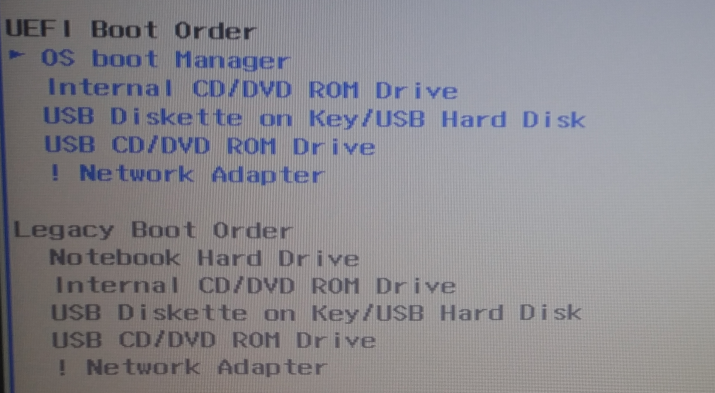 Figure 1 show the commands (underlined) used to accomplish the first step – listing and selecting the hard drive. To make it possible to copy-and-paste, for those who might need to, I’ve provided the commands in the code block after the last image. 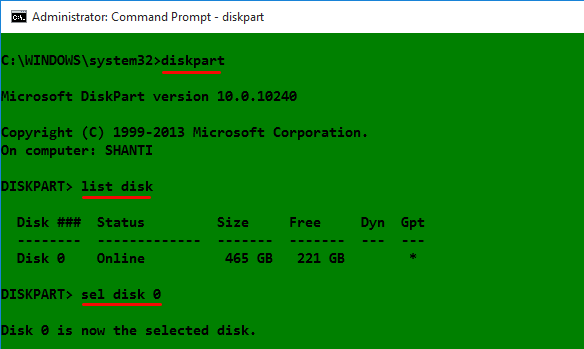 In this figure, the target disk is shown as a 465 GB hard drive, with GPT partition. 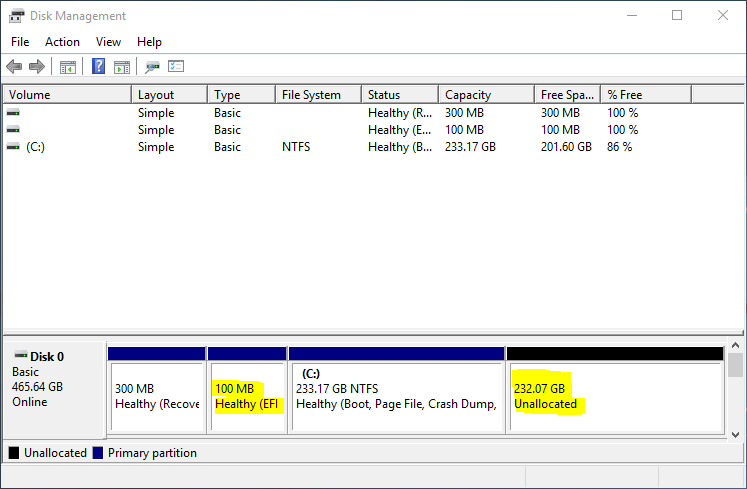 After the target disk has been selected, its partitions are listed, so that the partition (volume) that corresponds to the Boot EFI folder can be identified. In Figure 2, that partition is Volume 2. 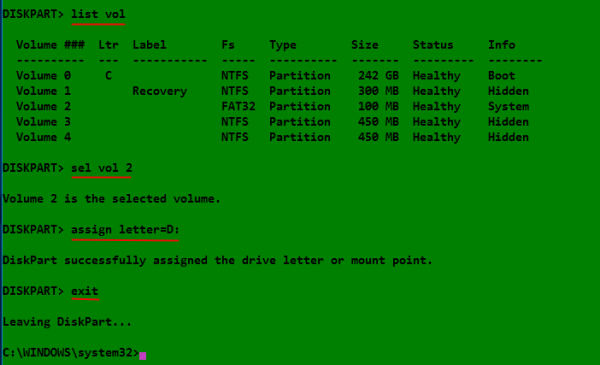 It’s usually the only volume with FAT32 in the Fs (file system) column, and System in the Info column. After it has been identified and selected, you assign it a drive letter to make it easier to work with. In this example, I assigned it a drive letter D. After that, exit diskpart. 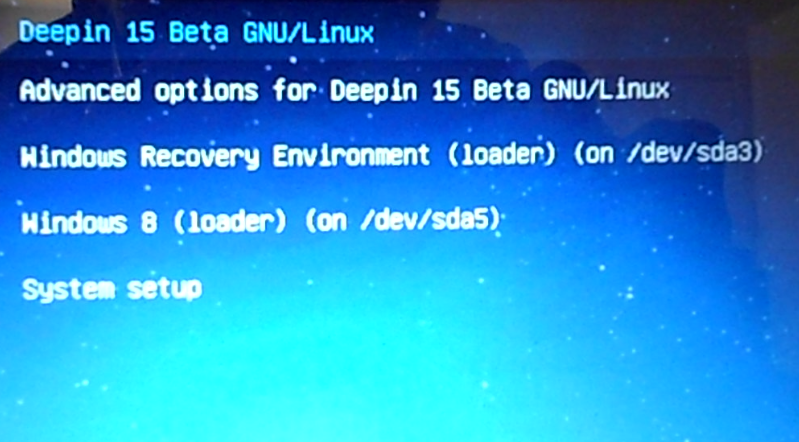 The final task involves changing into the Boot EFI folder, listing its contents to identify what subfolder the GRUB files would be. It will be in the EFI folder. The GRUB files for the distribution that was installed will be under a folder of the same name as the distribution. 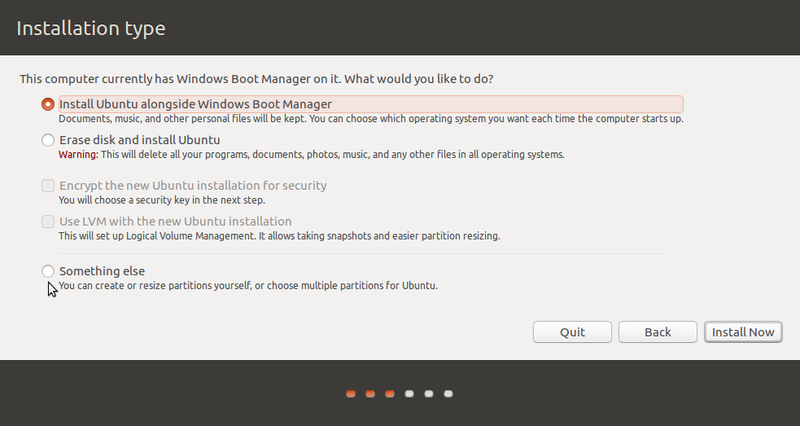 For example, if Ubuntu was installed, as in this example, the name of the folder will be ubuntu. Delete the folder using the rmdir /s command. 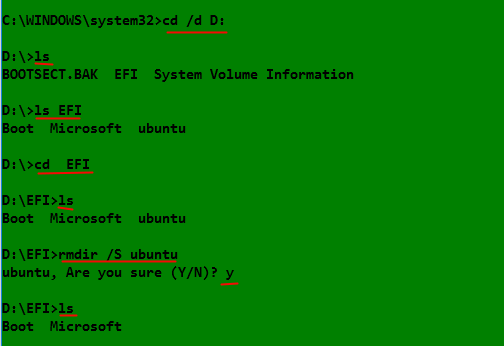 That’s the Windows 10 equivalent of the Unix/Linux rm -r command. All the commands used are given in this code block. Note that this procedure is not necessarily the best or only way to go about do this, so if you know of a better method, post a comment. deepin\8ab5.<0 – "the filename, directory name or volume label syntax is incorrect"
deepin\<0 – "the filename, directory name or volume label syntax is incorrect"
deepin\j;68.b5 – "the filename, directory name or volume label syntax is incorrect"
what can I do to remove it? Thank You so much. This is the first and only solution that actually worked. I’ve tried the different ways before.. thanks!!! Use the dir command instead, as suggested by other commenters. When I use command “dir” (ls would not work) and it says. You are great. I have been trying to get things working for 2 days and going crazy. Using Win 10 install disk to repair and reinstall and a bunch of other stuff. Your directions are the only thing that worked, thank you!!! Perhaps change the instruction so that you’re not telling people to open “CMD”, because “ls” isn’t valid there. It is an alias in Powershell, so the instructions will work as written in PS. Worked as described (apart from using dir instead of ls). Thanks. The final step was to go into the BIOS and remove the Ubuntu boot option which was still there after performing the tasks listed in this article. I was unable to delete it prior to this. Worked like a charm, thank you very much. My pc did not recognise the ls command, but I used DIR instead and all went well. Great post Dude! Whoo…you save my day XD. Thanks for sharing. 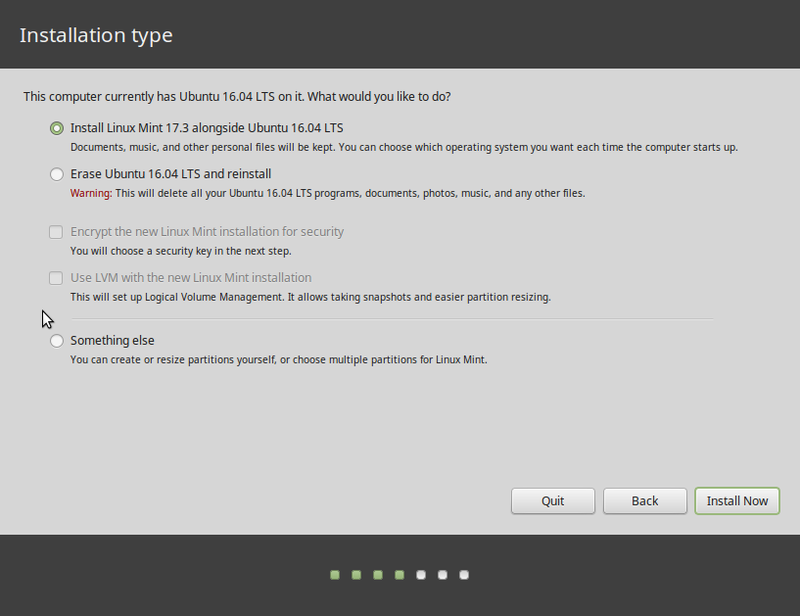 I have been trying everything for about two weeks to solve this problem that got created when I try to install Ubuntu on a USB drive and forgot to put grub on the USB and instead got install on my local drive. Your instructions were clear and easy to fully and they sole my problem flawlessly. Thanks so much for this post. It saved my laptop. The only thing that I had to do different was to use the DIR command instead of the LS one since LS was not recognized by my computer. Which I learned from a clarification on the comments and a reply that you posted. So, thanks so much for your help. Have a great one!